Decorating a bedroom may seem easy, but as we start the process of interior designing we realise, that it will be quite a journey. Selecting a color scheme and aesthetics according to our preferences and comfort… How to avoid getting lost among designing options, and choose the best one? Which style would you like to use to decorate your bedroom in? A bed, a bedside table, a small dresser, a lamp, possibly a soft carpet - those are the base furnishings of every bedroom. Let’s try to spice up our interiors to highlight their best features. 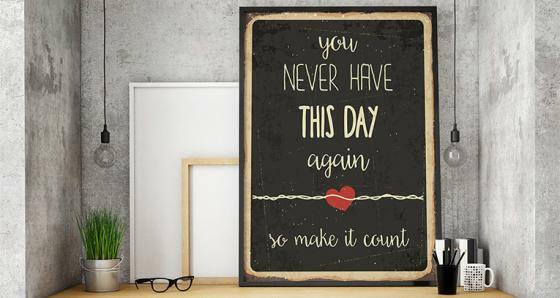 Thanks to that, we can create quite a decor! Selecting the right accessories is the key. Don’t be afraid of using abstract designs and prints on textiles, like curtains or furniture upholstery. Let’s select decorative plant pots and mirrors in stylised frames. All of those elements have an impact on the final look of our interior. One of the most expressive details are bedroom murals. First of all, they take up the biggest surface. Second of all, they give us unlimited decorative possibilities. We can select any motif we want and apply it on one, or all of the walls. 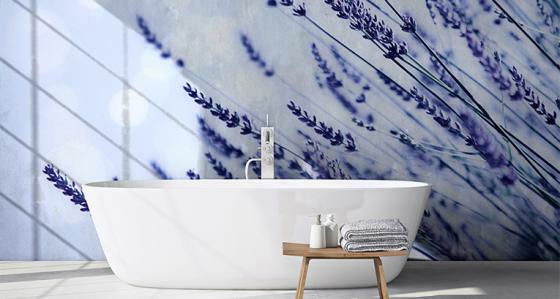 Moreover, we may use customized modern bedroom wallpapers, that can be placed, for example, on the sliding doors of a build-in wardrobe, and even on a celling! A dynamic print on a mural in bedroom will make the room gain an original character. The idea of eclectic style is based on smart combination of elements from various aesthetics. It’s important to keep the consistency. Let’s determine a color scheme for our interior and use it while selecting furniture and decorations. In this case, we can use, for example, a mural in bedroom with a regular flower motif (inspired by watercolors), or with an effective chevron design. Let’s place the graphic behind the bed’s headboard and paint the rest of the wall with a light, pastel shade that will fit the color palette of the mural print. Such background for wooden and glassed furniture will emphasize their beauty! A bedroom in eclectic style is an offer for fans of a classic aesthetic. But, we should avoid a complete monochrome look and randomness. Let’s plan out our space to be able to fully enjoy our own oasis of tranquillity. In a minimalist stylization, we should keep as much of a free space as we can, that’s why we’re giving up on fancy decoration on window stills and arranging knickknacks on top a dresser. 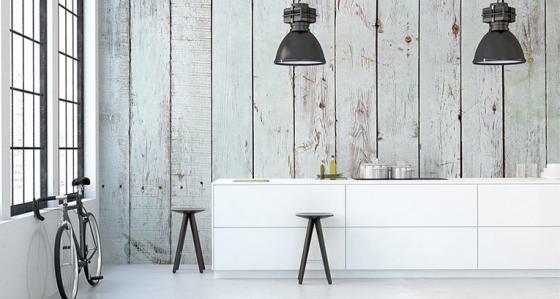 Minimalist style has many variations - we can choose the industrial one, a cool zen style, a cheeky loft decor or the beloved (by almost everyone) Scandinavian style. 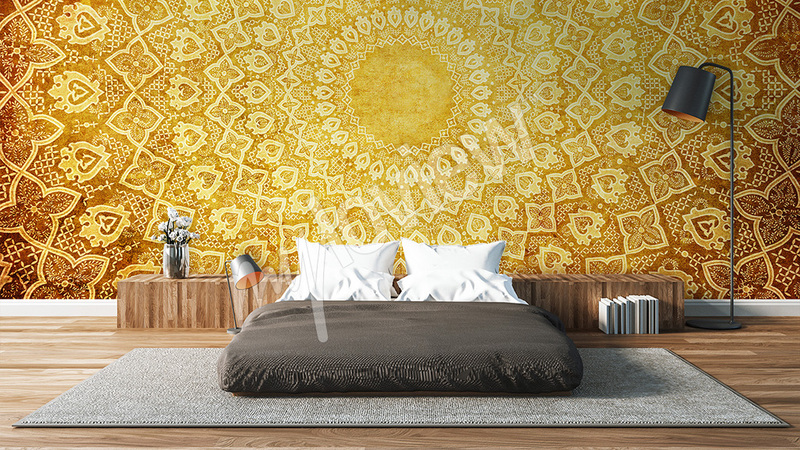 A bedroom wallpaper for a minimalist bedroom should have a certain aesthetic. Loft bedrooms should be decorated with a raw motif of brick, wood planks or marble. 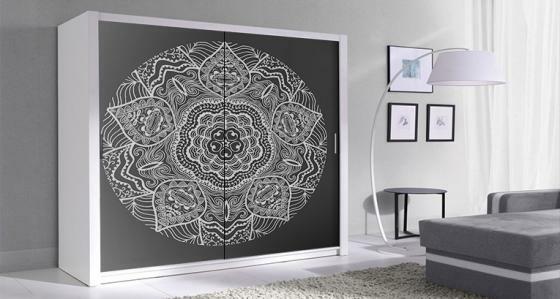 A zen interior will look great when decorated with a bedroom mural with black-and-white design. In a Scandinavian bedroom, we can use an interesting 3d bedroom wallpaper, for example - one with a landscape of fjords. Let’s remember not to overdo with the amount of elements - let the 3d bedroom wallpaper be the only graphic decoration in our interior. 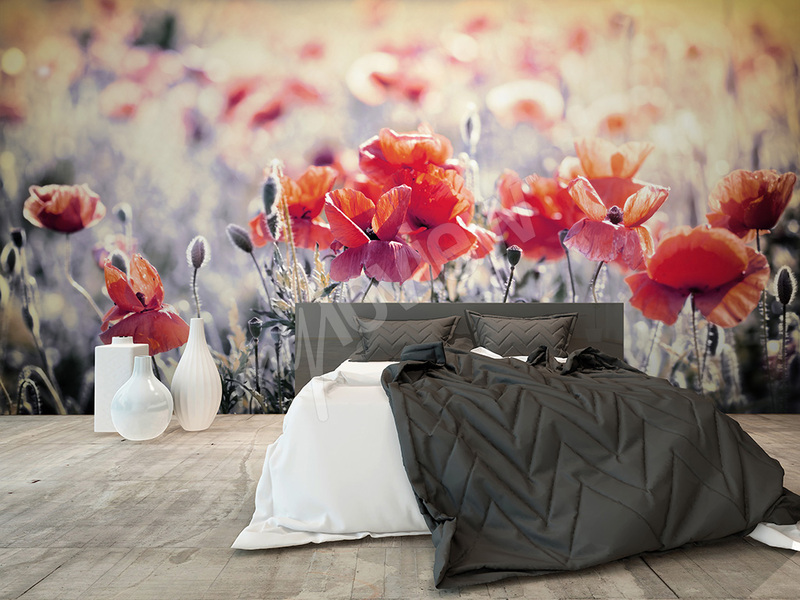 The minimalist style likes cutting-edge accessories, that’s why you should take a look at bedroom murals. A high quality artistic photograph placed on a wall can create an impressive effect in your interior. We must admit, that the Oriental style won’t fit everyone’s taste. 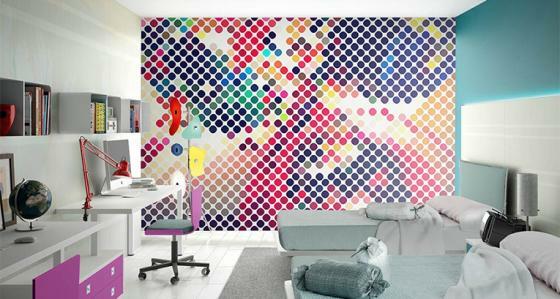 The carnival of juicy colors and dynamic mosaics can give a headache to the fans of minimalist solutions! But the New Orient seems to be great for bedrooms. A sultan’s chamber is full of splendour, variety of materials and omnipresent decorations - which of us, ladies, wouldn’t want such interior? To make Oriental style seem a bit more modern, let’s select a 3d bedroom wallpaper - the best choice would be a Moroccan mosaic! A retro bedroom doesn’t have to be dark and boring. Heavy brown curtains can be replaced by window blinds with a graphic, geometric theme or by a white wail. Steel bed frames can be painted white, and the floor can be covered with a shaggy carpet. We can find a fitting dresser or bedside table on a flea market. A dressing table can be placed in a bigger bedroom. But what about the walls? We should focus on retro color scheme, but let’s give it a bit of modern touch: bland and pretentious bronze can be replaced by chocolate, intensive shades. Blood red can take over for watermelon or raspberry. Let’s not give up on bottle green, sunny yellow and deep purple. The colors can - and even should - appear on one of the walls. Bedroom mural in retro style can refer to the sublime Art Deco. We can also use polka dots and classic stripes. Colorful murals and canvas prints: how to select the best ones? A stylish interior doesn’t have to be decorated expensively. Instead of costly accessories we can create them by ourselves, or look for them on flea markets and on the Internet- there, we can find everything we want! Cheap wall murals, candelabras, picture and mirror frames as well as textiles at bargain prices- with help of those small accents we can create a creative arrangement. Find out how to do it! It is said, that the mankind want to travel through cosmos, while we haven’t even discovered all of the secrets of the Earth. The depths of the oceans, mysterious land creatures and unusual atmospheric phenomena still surprise scientists, placing new challenges in front of them. And we’re standing by, astonished, how wonderful our planet really is.